The 18th Fighter-Bomber Wing was the last American combat unit to fly the P/F-51 “Mustang” in combat—ending an era during which the Mustang reigned supreme as the world’s best fighter plane. Only in January 1953 was the 18th Wing converted to the F-86 fighter-bomber jet aircraft. The last F-51 combat mission was flown from K-55 on 23 January 1953. This faded, grainy, fuzzy photograph is one of the last ever taken of 18th Wing Mustangs taxiing out of the rearming area prior to a Korean War combat mission in January 1953. The sharks tooth noses show they were Mustangs of the 12th FBS. However, records indicate that the 67th squadron flew the last combat missions for the venerable F-51 Mustang in the Korean War on January 23, 1953. In July 1950, 18th Wing squadrons were ordered to convert from F-80 “Shooting Star” jet aircraft to the aging F-51 “Mustang” fighter-bomber. In January 1953, 18th Wing Squadrons converted from the F-51 “Mustang” to the F-86 “Sabrejet”—again while in active combat and while meeting all operational commitments. The 18th Fighter Bomber Group at the end of 1952 “was an F-51 unit composed primarily of recalled Air Force Reserve Officers, none of whom were jet qualified,” the 18th noted. “January and February of this reporting period presented the Group with the mammoth task of conversion in the field,” the Group reported. 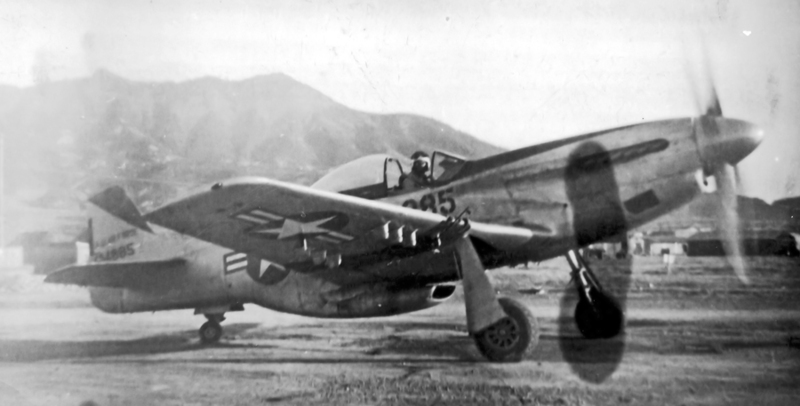 In January 1953, immediately following the movement and consolidation of the 18th Wing at K-55 (approximately 40 miles south of Seoul), “a conversion from F-51 aircraft to F-86F aircraft was accomplished,” the 18th FBW monthly report noted. The retraining process was launched in early January 1953 with the activation of the 18th Combat Crew Training Flight (Provisional) whose function was to instruct, “assigned pilots in the operation of jet fighters. Pilots from the 2 Squadron SAAF were the “first to undergo transition training [to the F-86]. Each of these pilots received a minimum of one transition flight in the T-33 aircraft and a minimum of two instrument instruction flights with USAF instructors.” After completing training for the SAAF pilots, the training flight moved over to train 12th Squadron pilots in the T-33 jet trainer aircraft, while simultaneously “acting as instructors for the South African pilots who were checking out in the F-86.” They then moved on to the 67th Squadron. Later, the 18th’s unrelenting interdiction played a key role in bringing about the Armistice that reestablished the nation of South Korea. 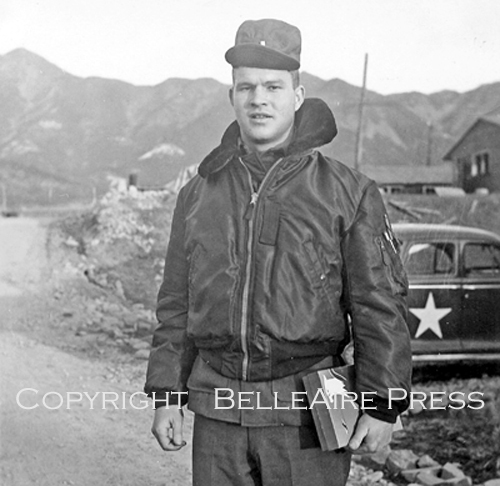 The 18th Wing flew more combat missions that any other unit in the Korean War, and one of its squadron commanders was posthumously awarded the Congressional Medal of Honor, one of only two such awards to Air Force personnel during that war. The Wing’s integrity, professionalism and dedication also contributed significantly to the fledgling Air Force core values so often cited these days, Connors explained. 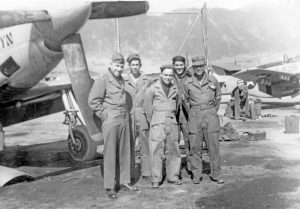 This post inaugurates a new visitor feature — sharing historical photographs of 18th Fighter-Bomber Wing combat operations during the Korean War. “First Missions” is the lead off video in this series that is projected to include videos that include all 37 months of combat by the 18th FBW, and hundreds of photographs, most never before published. 18th FBW cup designed to recognize the command’s second year of combat in the Korean War. LTC Edward D. O’Donovan, a veteran of WWII was posted to the 18th FBW in 1951-1952. “Charley Tune” area of the K-10 “Top of the Mark” Officers Club in early 1952 where 18th Group pilots made “nail cuts” in the floor while singing Ay Ziga Zumba. The officer on the guitar is Lt. A. S. Van der Spuy–“Topper 6” or just “Topper,” his call sign during WWII in Italy–a pilot with the 2 Squadron SAAF. Behind Topper is 2nd Lt. John W. Yingling. At right rear, Second Lt. Archie Connors of the 67th Squadron sings along. “I have only begun to be able to read the book, but it is a great connection for me to my father who has since passed on,” he concluded. Thank you Robert for sharing this memories with our readers and visitors. We would like to hear from more of you. February 20: Lt. Col. Homer M. Cox assumed command of the 18th Fighter-Bomber Group from Colonel Ira F. Wintermute who was assigned to the Thirteenth Air Force. February 21: The Eighth Army launched Operation KILLER to destroy large numbers of enemy troops while moving the UN line northward to the Han River. February 28: UN ground forces eliminated the last communist presence south of the Han River. Heavily loaded F-51 Mustang of the 12th Fighter-Bomber Squadron shortly after takeoff from K-10. (Right) A 12th FBS F-51 loaded with rockets and napalm, claws for altitude after taking off from K-10 at Chinhae on a combat mission in February 1951. It was one of 468 sorties flown by the “Foxy Few” that month. 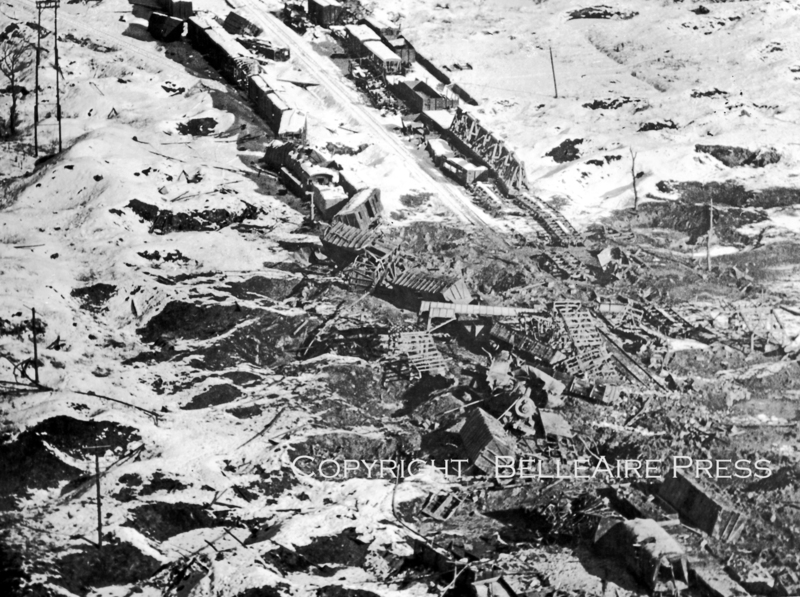 January 28 Hoengsong, a few miles north of Wonju, was retaken after USAF fighter-bombers dropped 8,000 gallons of napalm on communist positions within a 30-square-mile area. 7,000th Mission. Major Charles McGee holds up seven fingers to celebrate his return from the 7,000th mission for the 18th Fighter-Bomber Group on 28 January 1951. 7,000th Mission. Major Charles McGee holds up seven fingers to celebrate his return from the 7,000th mission for the 18th Fighter-Bomber Group on 28 January 1951. It was the 83rd mission for McGee, a WWII veteran and a former Tuskegee Airman, now flying with the 67th FBS. 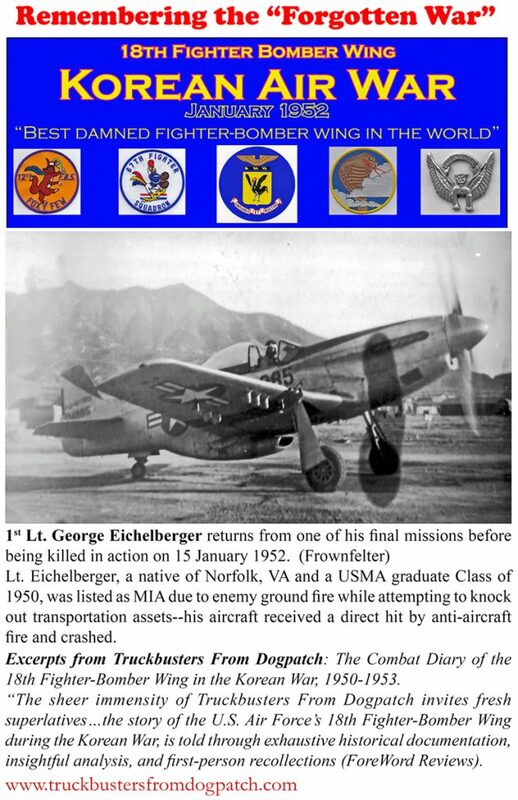 Excerpted from Truckbusters from Dogpatch: the Combat Diary of the 18th Fighter-Bomber Wing in the Korean War, 1950-1953. “I’ll get those dirty bastards…” Remembering Lou Sebille 65 years after he made U.S. Air Force history. After diving his F-51 Mustang into enemy troops, Major Lou Sebille, commanding officer of the 67th Fighter-Bomber Squadron was later awarded the first Medal of Honor for the new U.S. Air Force. 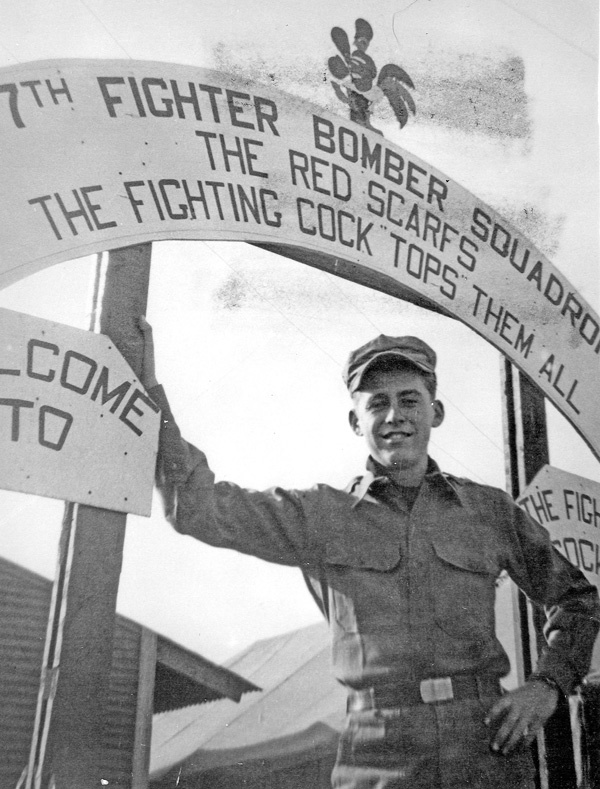 1st Lt. “Bud” Biteman, 67th Squadron at Clark Field in 1949. Major Louis J. Sebille, was in command of the 67th Fighter Squadron when it arrived, without airplanes, at Ashiya, Japan on July 31, 1950, explained Lt. Col. Duane “Bud” Biteman. They were to receive twenty-five of the “new” F-51 Mustangs that had arrived the previous week aboard the Navy Carrier, USS BOXER. But because there was insufficient physical space–real estate, to park their planes and house their troops, to base them at Taegu with the rest of us–the 67th would, by necessity, have to remain at Ashiya, on the southern Japanese island of Kyushu, and receive logistic support from the 8th Fighter-Bomber Group at Itazuke, 40 miles south of Ashiya. “It would be a crude, and probably unworkable wartime arrangement–with the 67th’s parent organization, the 18th Group based at Taegu, but having to beg for vital support from a bunch of ‘strangers’ based forty air miles away. Lou Sebille was not a bit happy with that arrangement, and told Lt. Colonel Ira “Ike” Wintermute, our 18th Group C.O. what he thought the results would be. His angry response to the proposition was unlike the easygoing, friendly personality of Lou Sebille, and he was undoubtedly in a sour mood as he began re-indoctrinating his pilots–who, until that time had been flying the F-80C Lockheed jet fighters for the past year, as we had, training them once again to fly the propeller-driven F-51s, and rebuilding his combat outfit,” Biteman recalled. They started flying their first combat missions the following day. Three days later, on August 5th, while each was leading separate flights near H’amchang [36 degrees, 32’N, 128 degrees, 15’W] on the Naktong River, Lou Sebille and Bob Howells would both be killed within five miles and within minutes of each other–both within 15 miles of the base at Taegu! Sebille, leading a flight of 67th Squadron Mustangs out of Ashiya, wound up with but three airplanes when his wingman [Lt. Ken Barber] was forced to return to Ashiya with a rough engine. “Captain Martin Johnson, his element leader, with Lt. Charles Morehouse on his wing, were informed by the pilot of a T-6 Mosquito spotter, of enemy armor hidden inside several houses in the village of H’amchang. Enemy armor so close to Taegu made our military position “very precarious,” to say the least,” Biteman noted. Sebille understood the critical tactical situation—perhaps the very success or failure of the US/UN stand in Korea depended on the effectiveness of his fighters. After the T-6 spotter aircraft fired a target-marker smoke rocket identified the huts that were hiding the Red armor, Sebille began a medium angle dive bomb run. He planned to drop both of his 500-pound GP (general purpose) bombs on the first run. Only one of Sebille’s bombs released on his first attack. The 500-pounds of extra, unbalanced weight under his left wing may have contributed to his near-miss on the target, Biteman noted. The enemy armor was still firing at Sebille’s other element as they attacked nearby targets. He continued his turn, diving straight toward the armored carrier, fired his six rockets in salvo, and held his finger on the trigger to keep his machine guns firing the whole way down. Instead of pulling up when he reached the 2000 foot danger level, he continued to bore in—1000 feet—500 feet—he dove his airplane and his remaining bomb into the target,” Biteman recalled. 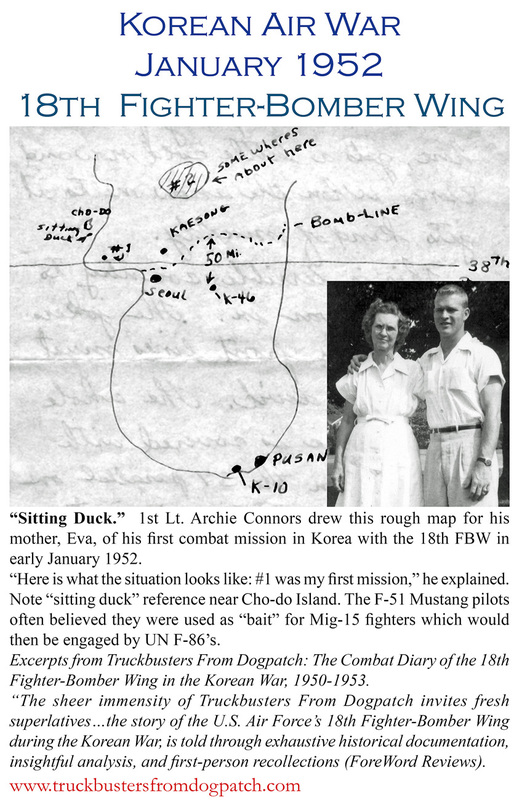 [Note: Lt. Col. Biteman prepared a series personal recollections entitled “Korean Tales, Unsung Heroes of the Korean Air War.” He was also a founder and first President of the 18th Fighter Wing Association, Biteman placed many of these stories on the Association’s web site. Some of these stories and others by 18th Wing alumni may also be found in “Hot Shots: An Oral History of the Air Force Combat Pilots of the Korean War,” by Chancey and Forstchen (Morrow). Informal “tent-side” briefing for Cpt. Bill Slater before a close air support mission from K-9 in August 1950. Heat waves shimmered upward from rain pools alongside the airstrip at K-9, S/Sgt William J. “Sandy” Colton, a public information specialist attached to the 18th Wing Staff later reported. Colonel Curtis Low, Captain George Bales, and Colton surveyed the “uninspiring Korean landscape” from their ankle-deep vantage point in the mud. “Lower Slobovia or Dogpatch couldn’t be worse than this,” commented Low, while his two companions nodded weary agreement. Thus, Dogpatch received its Cappian title, which was to eventually be picked up by the state­side press and become a familiar label of the 18th Fighter-Bomber Wing. Al Capp adopted the 18th Fighter-Bomber Wing and designed its logo. A letter dispatched through channels to Al Capp himself soon brought recognition from Li’l Abner’s creator, who followed through by designing a Mustang motif patch with Nancy 0. and Abner astride a death-dealing F-51. This same insignia was featured on television and aroused such interest that the Texstyle Corporation sent along as a present full-color cloth patches for the Dogpatchers of the Fifth Air Force. Ground crew preparing a Mustang from the 12th Fighter-Bomber Squadron for a mission from K-9 in August 1950. Chow Time at K-9. Amenities were almost nonexistent at K-9 in August 1950. K-9 was important as an air evacuation and staging area. The wounded were brought from the Pusan Evacuation Hospital to K-9 by rail transportation, loaded on ambulance and 6×6 trucks, and then to C-119, C-54, C-46, and C-47 aircraft for flights to Haneda and Itazuke Air bases in Japan. This field was bordered on three sides by mountains a mile from the field, and on the other side by the sea. 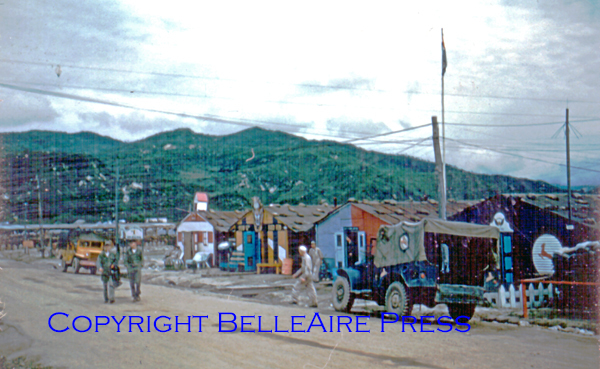 South Korean laborers were used in the Mess, on the Flight Line, and in installation of the Base. This was the largest field in South Korea and the only one capable of handling jet aircraft. Marine Corsairs (F4U), Navy Skyraiders, and RAAF F-51’s and C-47 aircraft of its 77th Squadron frequently operated from K-9. In addition, many high-ranking personnel of all nations passed through the field–Generals Walker and Stratemeyer flew from K-9 quite often.